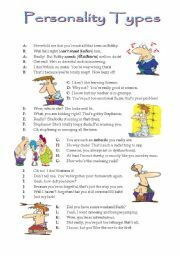 This is a two page worksheet that has a number of short role-play conversations all about different personality types. It adopts a fun approach to talking about people in general so that students can relate to it a little more. 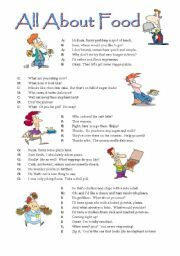 This is a 2 page worksheet full of a amusing dialouges all about food from burgers joints to coffee shops. The kids always have a blast with this one and it is fully editable as well. 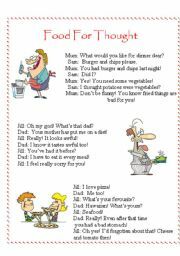 General dialouges around food including problems, new vocabulary and lots of chance to SPEAK!!!! I get my students to roleplay and then make up similar dialouges. They really enjoy using this kind of work! 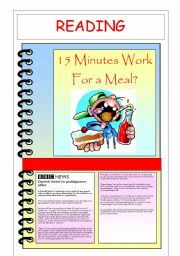 15 MINUTES WORK FOR A MEAL? 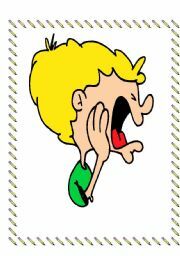 These cards can be used for teaching, review, vocabulary, grammar, verbs, adjectives whatever! I find them very useful fully editable. I have more to upload later! 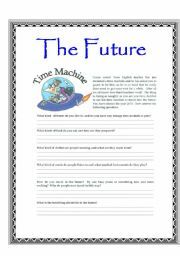 Speaking and writing tasks with the future being the topic! Hugs! 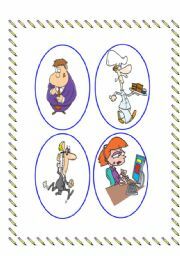 Flashcards with occupations or what are they doing. 4 pages + question sheet, but it�s up to you! Many thanks!